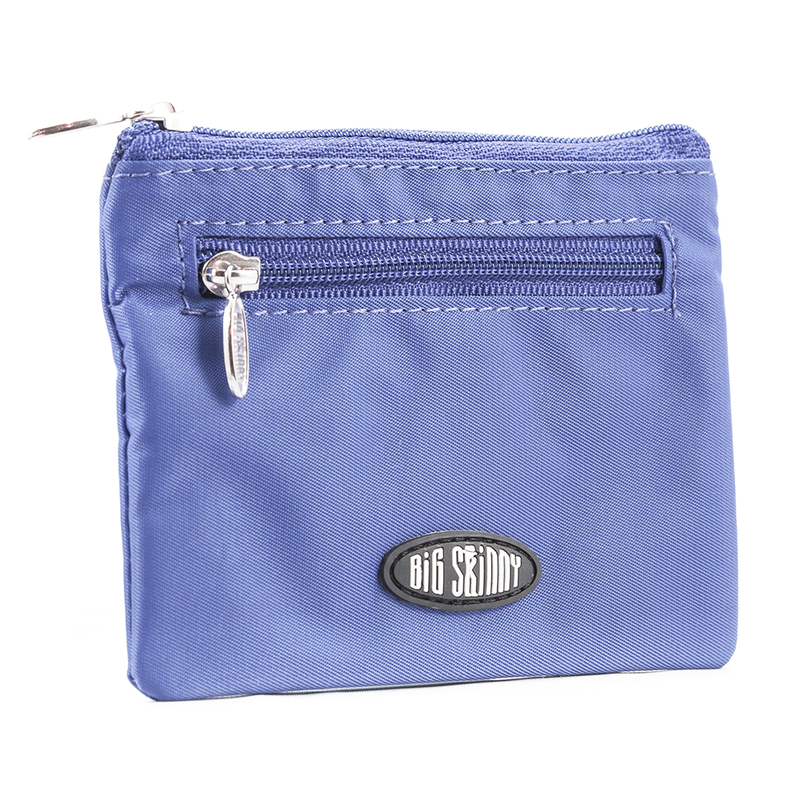 Some people are serious about keeping their stuff organized and others just aren�t. You�re the type of person who may look disorganized but really know where everything is at a moment�s notice. 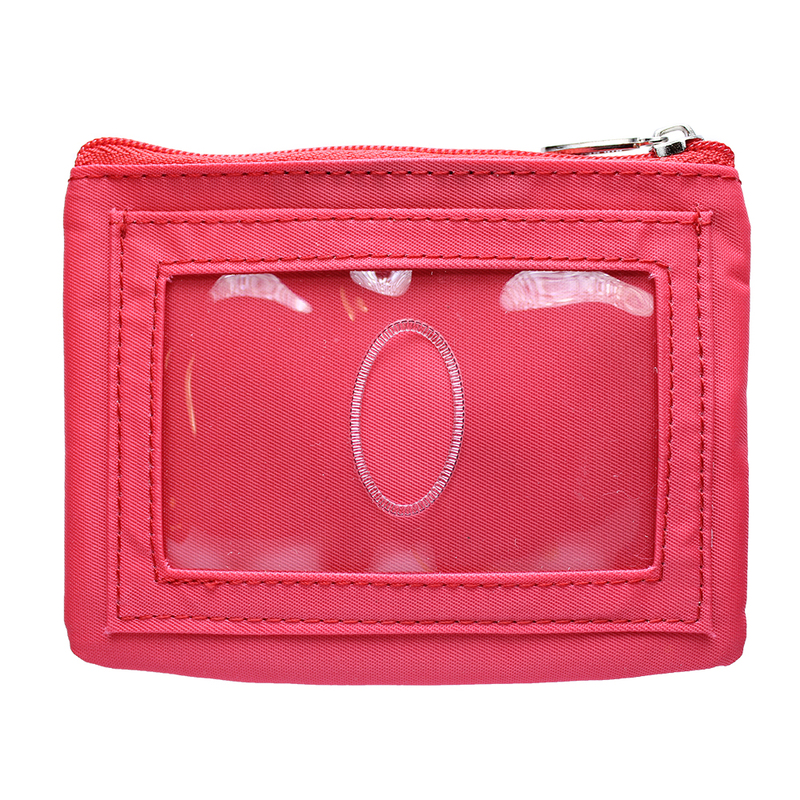 Let�s just say that there�s a method to your madness, and we totally respect that, which is why we offer the Money Penny Coin Holder. 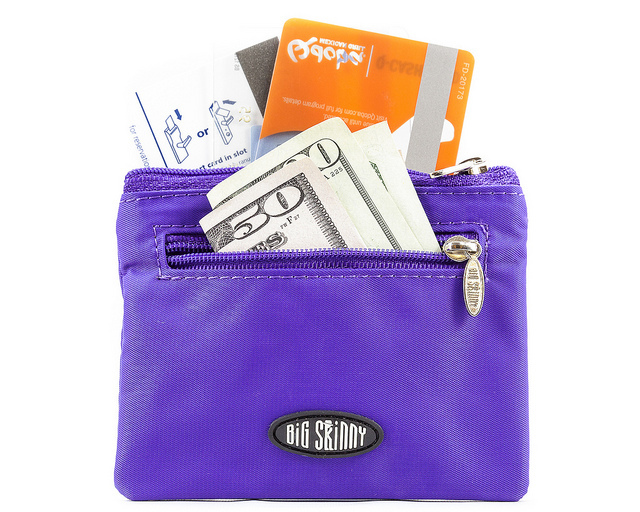 With our coin wallet, you stack up all of your junk and toss it in � no need to organize all of it! 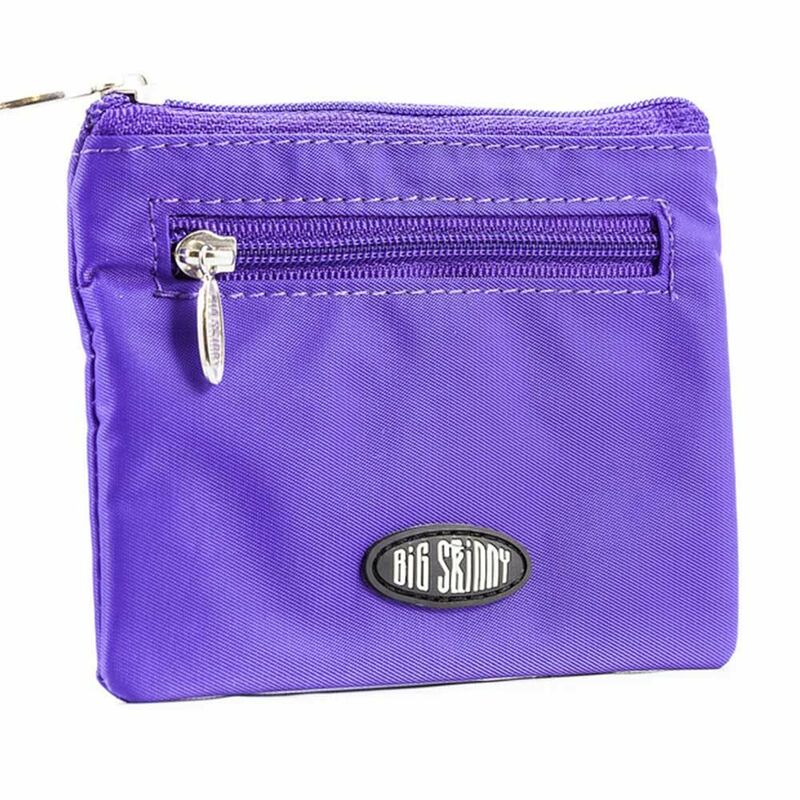 This coin purse wallet can hold 10 or more cards, cash, gum and more. You can even forego all of this and just use it as a simple change holder for days at the Laundromat or for all of those pesky parking meters you have to keep feeding. 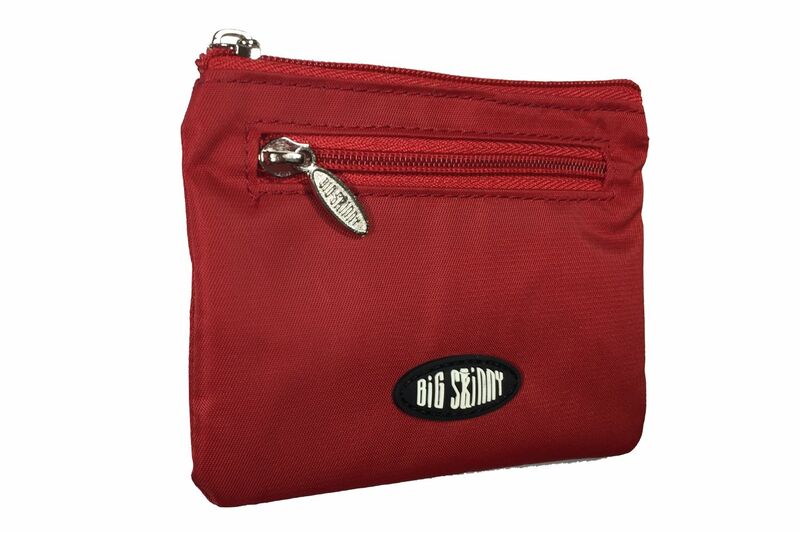 It also has a zippered pocket on the outside for gum, memory cards and more. 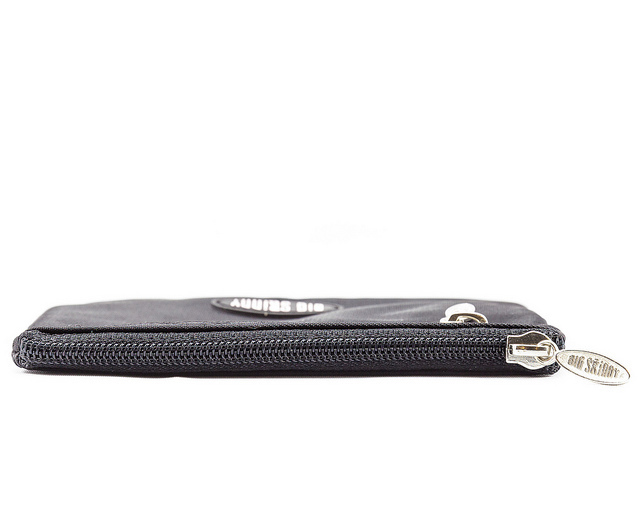 This wallet coin purse also features a nifty key ring. And that�s not it! 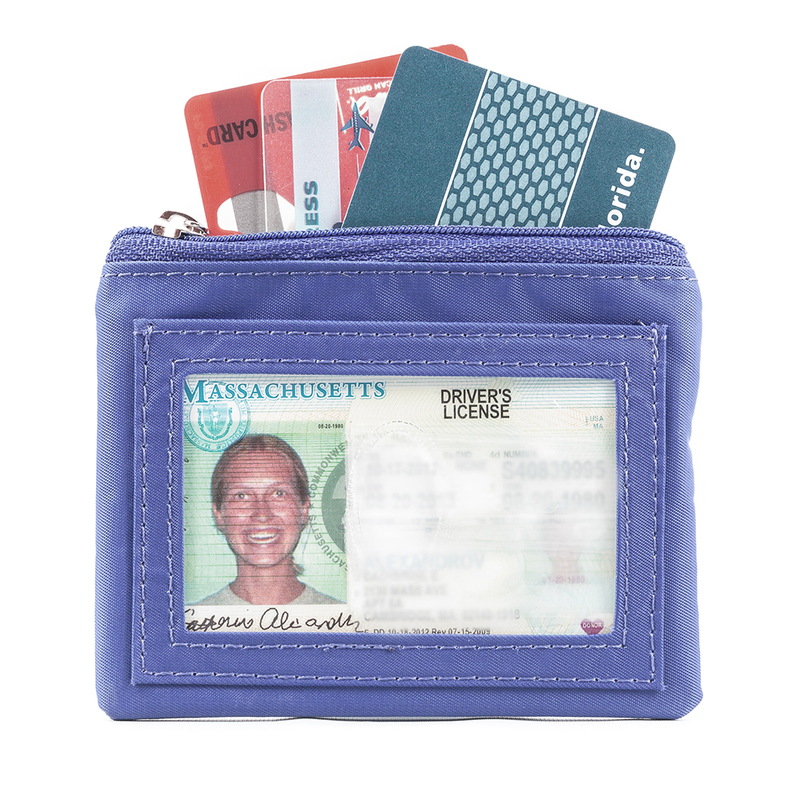 On the other side there�s a clear pocket where you can keep your ID with three more cards. 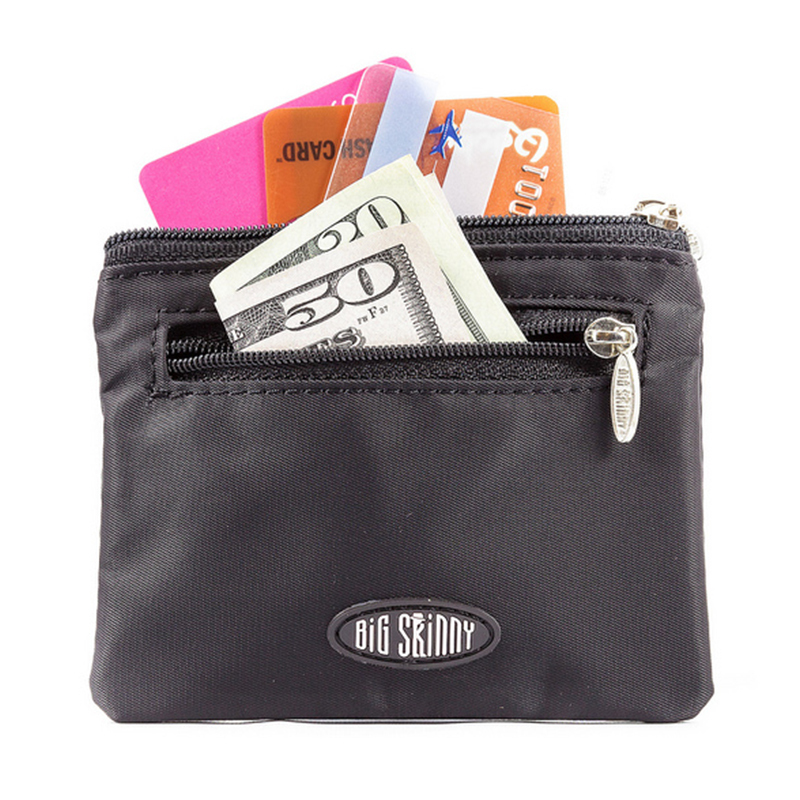 The Money Penny Coin Holder is a great little wallet that holds my credit cards and drivers license, bills, coins, and house key. There is a back slot is which I can slip any grocery list or even my ID which I need handy while checking in at the airport. 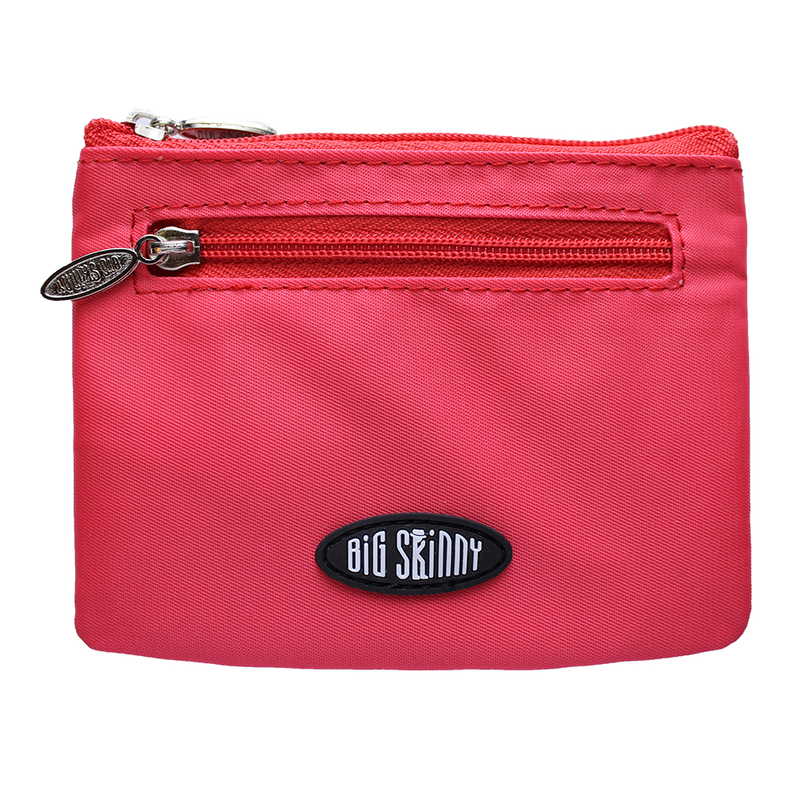 I have the wallet I am currently using and I bought some extra as backups for when my current one wears out. I�€™ve had my current one for almost 3 years. It has worn well. ProsSo handy!! Holds everything I need. 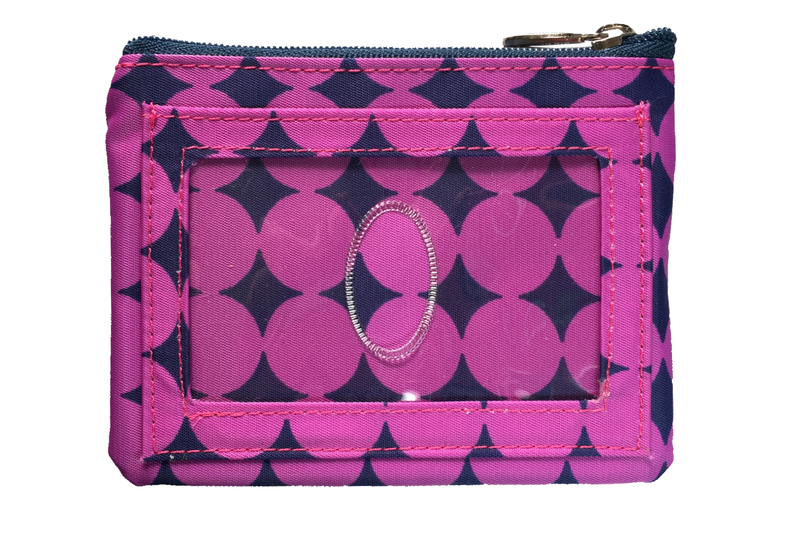 ConsThe current fabric seems of a little less quality than my first Big Skinny Coin Holder. The fabric seems thinner. Hopefully it will hold up as well as the first one I bought 3 years ago. 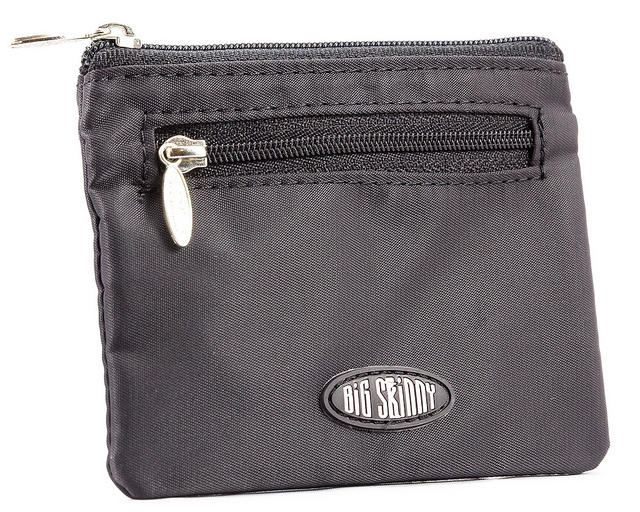 This is my second Big Skinny pocket wallet. I love it. My first one was in good shape but a little dirty and worn looking ( after using for at least 5 years). I decided to replace with a different brand, a standard folding wallet. Wrong decision. It just did not feel right carrying it in my pocket. So, I ordered a new Big Skinny. It's perfect. 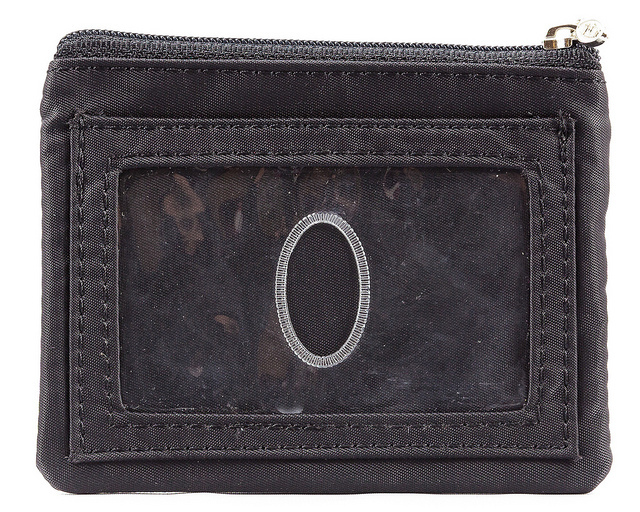 I carry my i.d., 3 credit cards, insurance cards, and cash in this neat little pocket sized wallet. Thank you Big Skinny. 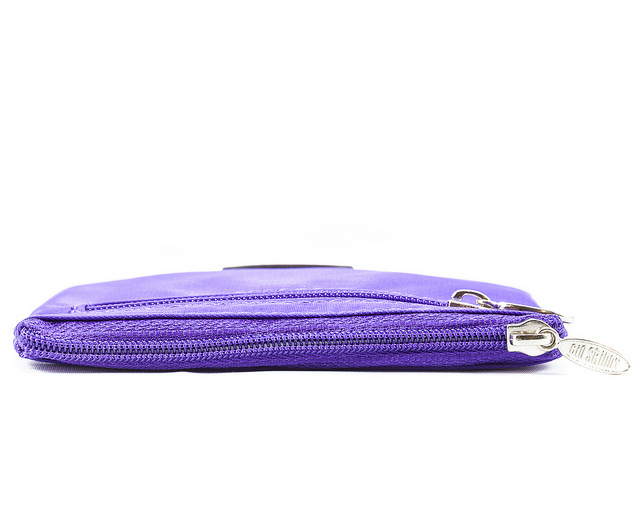 This is the thinnest, most versatile "wallet" I have found! I'm now on my second one, only because my first one got a little dirty over several years of abuse. Filled with five credit cards and bills folded in half, sometimes I don't even know it is in my front pocket! I hate carrying around coins, but if I don't put them in the donation bucket at checkout, I can store them temporarily in the zipper pocket until I dump them out at home. 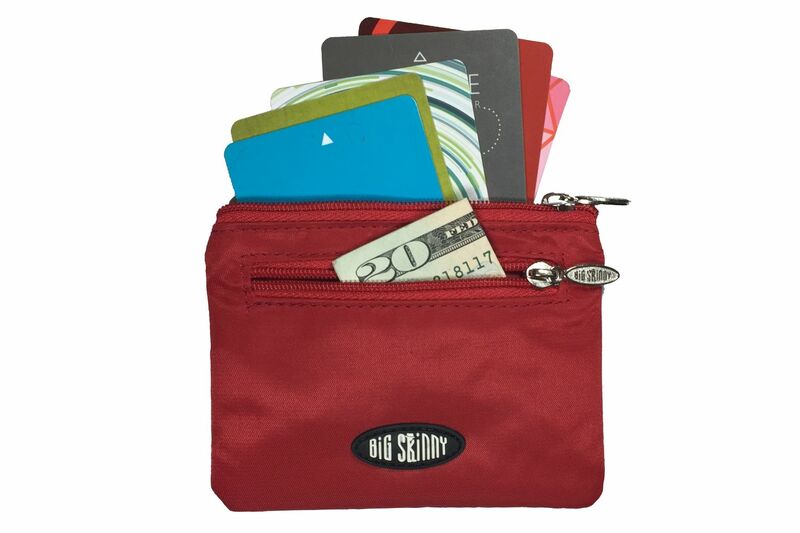 In the side zipper pocket I put receipts to keep them separate from the bills. Finally, I love the drivers license window on the other side so I can just flash it when asked without having to pull the darn thing out! Absolutely love this...please keep making them for years to come! This is a great, small wallet that I use when I don't want to carry my purse around. Fits in my pocket and still holds what I need. Which in my case, are 2 bank cards, bills, coins and my driver's license. The zipper on the main opener of my wallet broke. I emailed customer service 4 days ago with pictures and an image of my original receipt. I still haven't heard anything back. 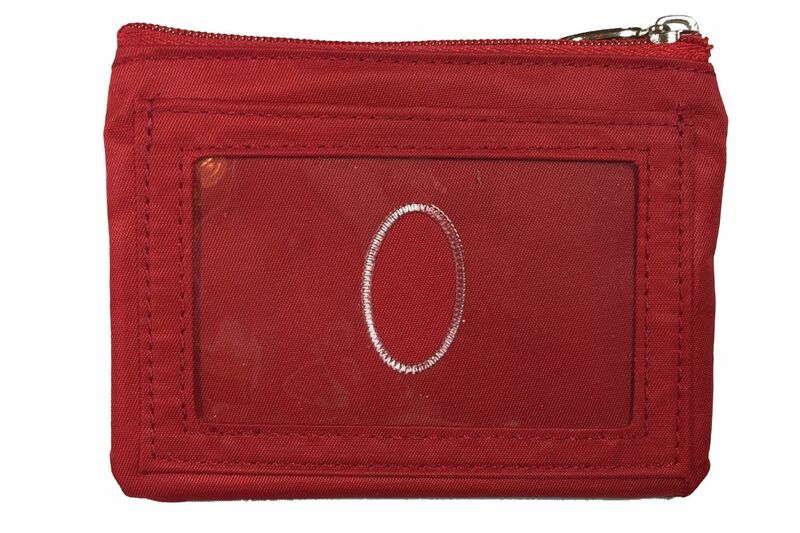 This is strange because I had this exact wallet in black for nearly 7 years. ProsLove the conviece of the small wallet. 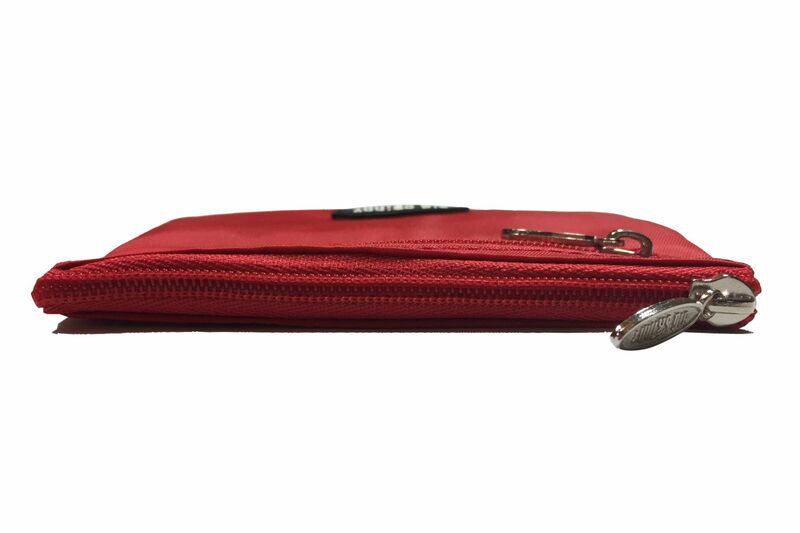 Have used this particular style wallet for years. This is a reorder, although they take a while to wear out. 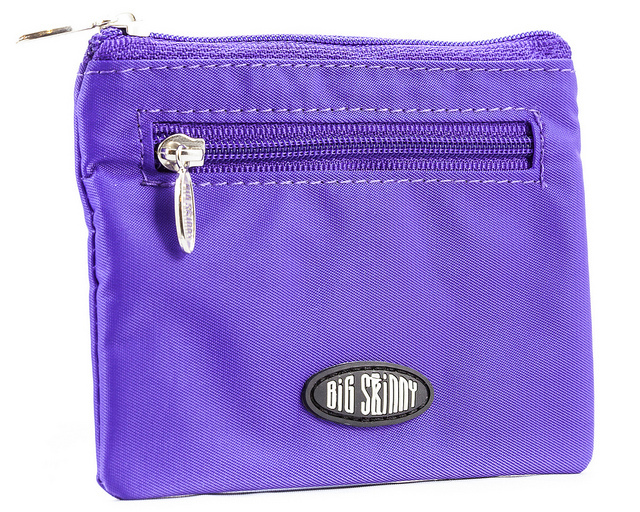 My family owns several BigSkinny wallets, according to personal preference, and all of them get 5 stars. Appreciate this one for how much I can carry in a very small space, including coins. Use all the time - suits, slacks, jeans, workout clothes. 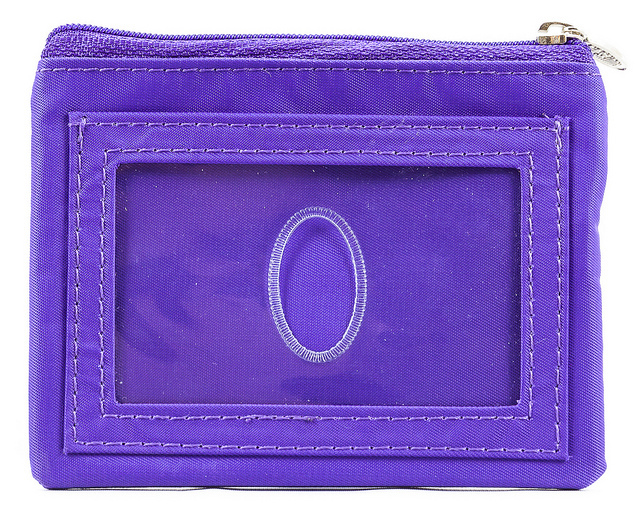 If it was 1/4" wider, it would be easier to get credit cards into the zip pocket. And RFID would be awesome. But, it is so great to be able to carry something this size in your pockets, purse, hand, and it still carry everything you must have. I really like it. Don't buy if you want this for cards. You can only fit about 2 cards in the clear section on front. 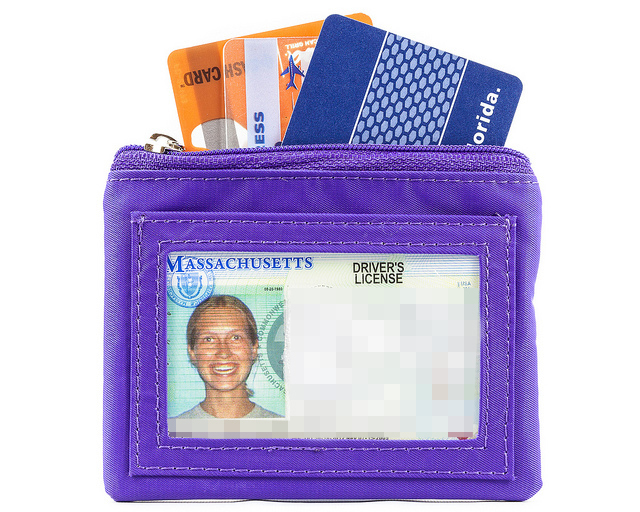 To get cards in and out of the zippered part you have to put them in upright and then wiggle them to get them horizontal. How you would ever get 10 cards in is beyond me - I got stuck at 4. If they added 1/2-1/3 inches in width, or enough to get the cards in horizontally without any trouble, they would improve the purse 100%. and I'd give it a 5 star rating. 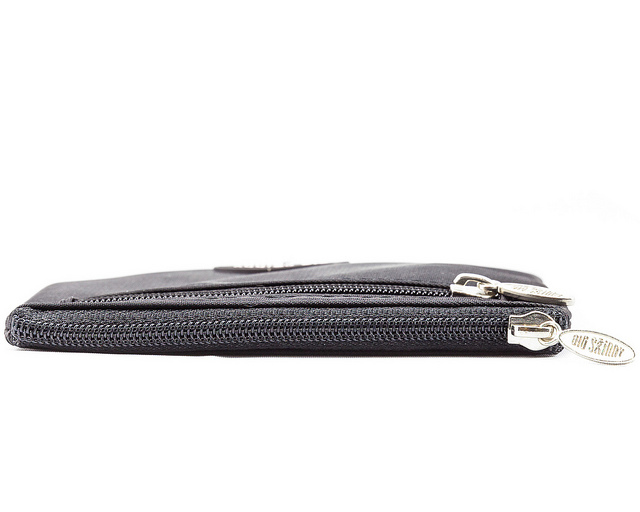 Having said that, I love Skinny Wallets, and own 4-5. 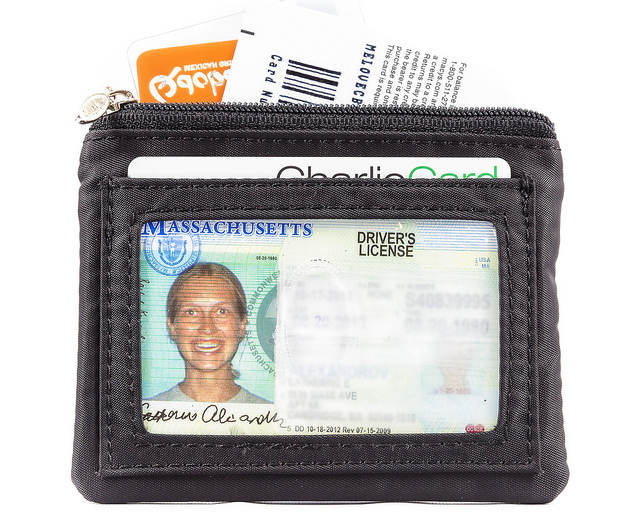 I will use this one for coins and bills plus drivers license, but not for cards. This is my third purchase. My first (after years of use) frayed at the top of the coin holder. 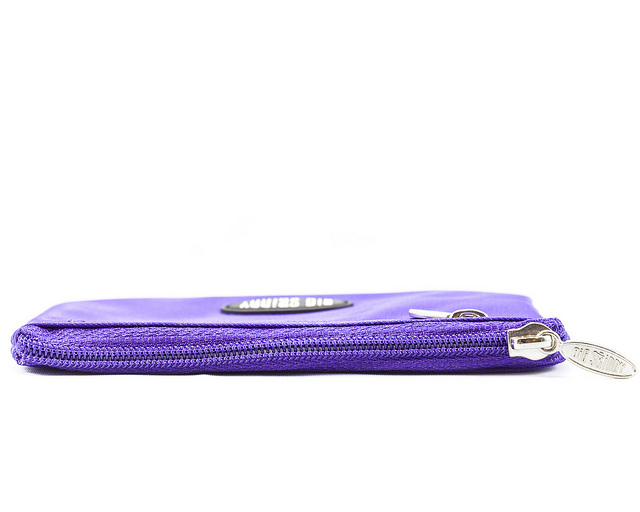 I especially like to use them when traveling putting different foreign currency in different colored holders. 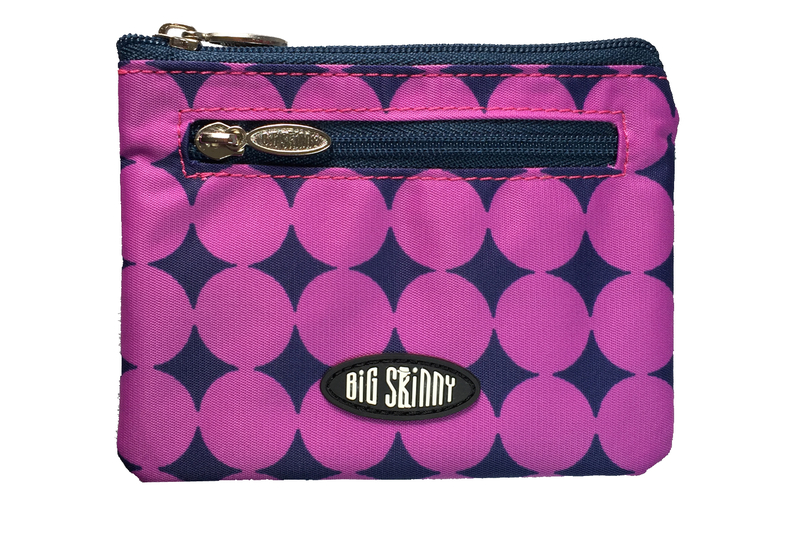 I love that this wallet can fit in my back pocket and carry bills, coins and credit cards. 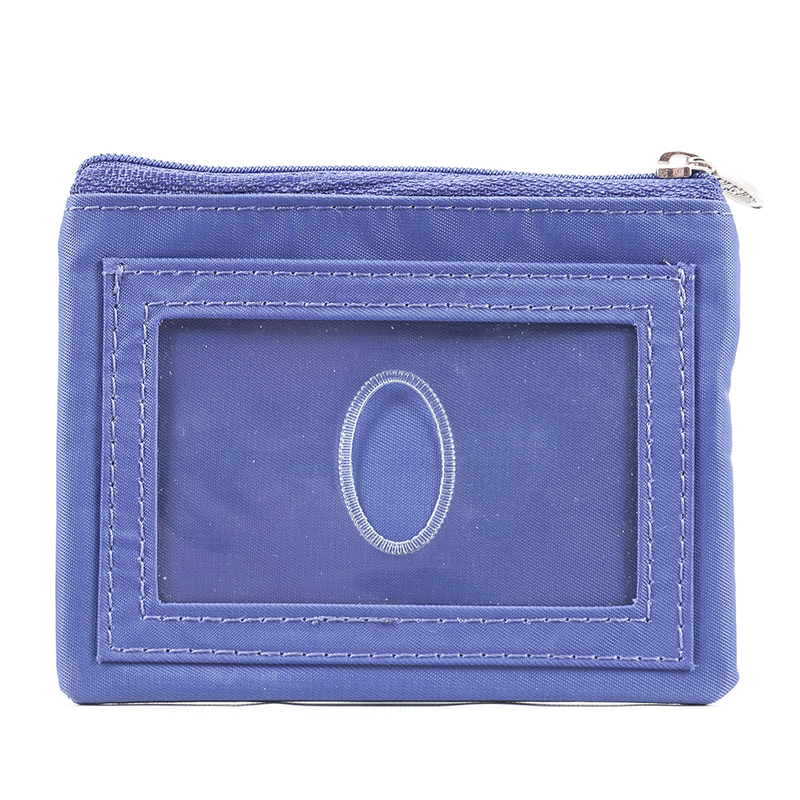 Although it is sometimes a little difficult to remove a credit card when there are 5 in the wallet, it is balanced by the fact that I don't need to carry a purse.